Sri Amritsar Sahib – Sri Akal Takht Sahib issued an historic HukamNama excommunicating Ragi Darshan Sinh from the Sikh Panth after he failed to appear at the apex Sikh Takht and seek forgiveness at his third and final summons. Sri Akal Takht Sahib had been inundated with requests from Panthic organizations worldwide to take strict action against the blasphemous Ragi for hurting Sikh sentiments by condemning the Sikh Nitnem, Amrit-Sanchar Banis, the Sikh Ardaas, and contents of Sri Dasam Bani. The five Singh Sahibans, Giani Gurbachan Singh, Jathedar Sri Akal Takht Sahib, Giani Balwant Singh Nandgarh, Jathedar Takht Damdama Sahib, Giani Tarlochan Singh, Jathedar Takht Sri Keshgarh Sahib, Giani Iqbal Singh, Jathedar Takht Sri Patna Sahib, and Giani Jotinder Singh, vice-Jathedar Takht Sachkhand Sri Hazur Sahib, in a the edict stated that due to his own ego and selfishness the ragi has failed to appear at Sri Akal Takht in front of the Singh Sahibans, and thus defied the Guru-Granth and Guru-Panth. The Sri Akal Takht Sahib directive further stated that the ragi, being no longer part of the Sikh Panth, will not be allowed the benefits and rights assured to a Sikh, and instructs the Sikh community to break all ties with the ex-communicated ragi in the terms of "ਰੋਟੀ-ਬੇਟੀ ਦੀ ਸਾਂਝ". Furthermore, all worldwide Sikh organizations, institutions, and Gurdwaras should not allow the Ragi to utilize their facilities, or provide any type of assistance to him; anyone who does so, they cautioned, will be considered a tankhayia (apostate) who will be held accountable to the Sikh Panth. On November 17th, the Ragi was directed by Sri Akal Takht Sahib to appear before the five Singh Sahibans and provide explanation for the offending remarks he had made about Sri Guru Gobind Singh Ji at a Rochester, New York Gurdwara. On December 5th of 2009, the five Singh Sahibans issued an edict from Sri Akal Takht Sahib declaring the controversial Ragi Darshan Singh a ‘Tankhayia’ (apostate) for not appearing at the Sikh Takht at 12 noon on December 5th of 2009 as required. The directive by Sri Akal Takht Sahib also declared the Ragi as a “Guru-Nindak” who, due to ego and self-interest, failed to uphold the respect and maryada of the sacred Takht Sahib. On January th, 2010, a twenty-two day extension of the summons was being given to Darshan Singh that ordered him to appear on or before January 29th of 2010 and seek atonement from the Panth. The Singh Sahibans had cautioned on that date, if the Ragi failed to appear at Sri Akal Takht Sahib then strict action would be taken according to Panthic norms and traditions. For the last several weeks, the ragi had already announced that he did not recognize the authority of Sri Akal Takht Sahib and would not appear on in front of the Singh Sahibans, and has went to the extent of even calling them 'gunday', 'paapi', 'tankhaiay', 'baymukh', and compared them to the villain Massa Rangarr. At last khalsa panth has spoken loud and clear. Backers of ragi need to understand that Sikhs are not going to sideline Bani of tenth master just because a few of them are propapgating at behest of anti sikh organizations. Enough is enough. Victory to khalsa panth. All Panth dokhis should be dealt like this. And now the pseudo-Missionary Jagtar Jachak is going around on historical stages in Delhi and supporting the excommunicated Professor Darshan Ragi on that dharti of the Gurus. Videos of this can be seen all over the internet. 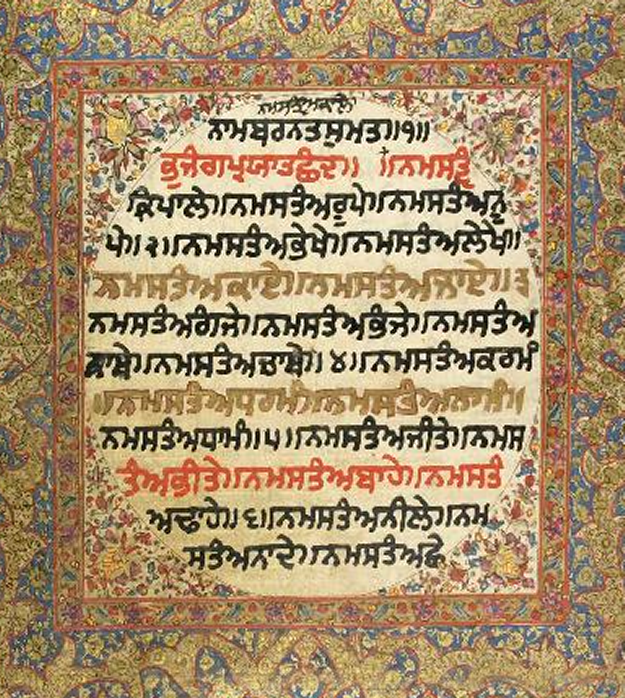 Dhan Dhan Sri Guru Granth Sahib Ji. Dhan Dhan Nitnem Dia Bania. Dhan Dhan Sri Guru Gobind Singh Ji. Days of Sarna and Jachaks are spent is filling thier pitcher of sin. It is going to overflow soon. Akal will take care of them.